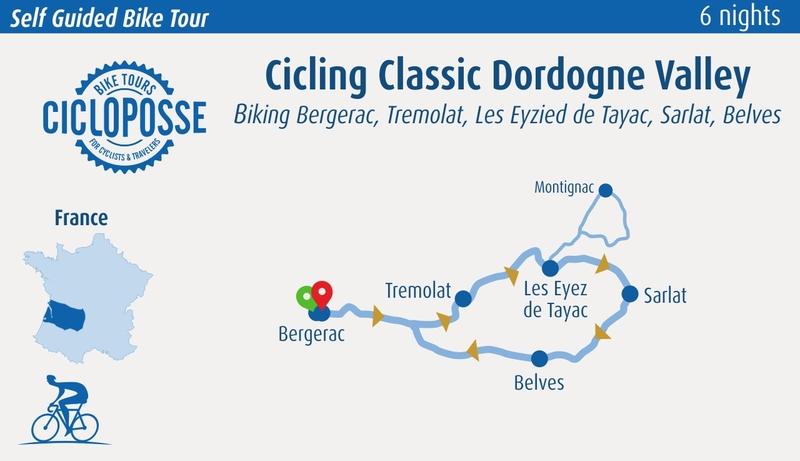 Cyclists consider Dordogne one of the nicest places to ride because it provides a lovely combination of natural beauty, with the Dordogne River running right through the town, and ancient history virtually untouched by the hand of time. 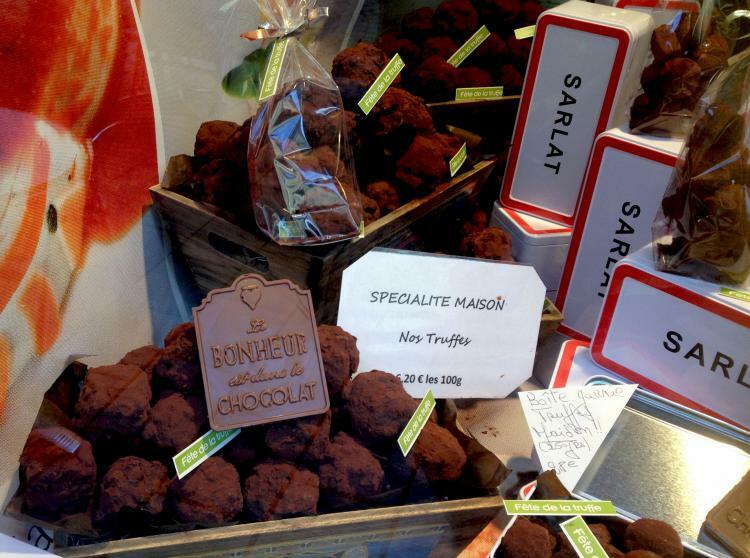 There are many reasons why Dordogne should be on any cyclist’s to-do list! Dordogne is equivalent to famous cave paintings, remarkable chateaux, delicious food, rolling green countryside, and historic villages. NOTE this trip is rated easy to moderate: any leisure biker can face this bike tour. 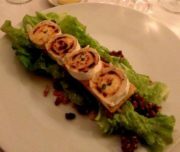 Cycle over undulating hills and along riverbanks, be spellbound from cliff-side villages, dine in terrific surroundings, indulge in the flavors of Périgord noir cuisine: foie gras and truffles. Bastide town of Domme, La Roque-Gageac, built flat against the cliffside overlooking the Dordogne, and with original troglodyte dwellings. Arrival in Bergerac, a large town with good rail access and services. 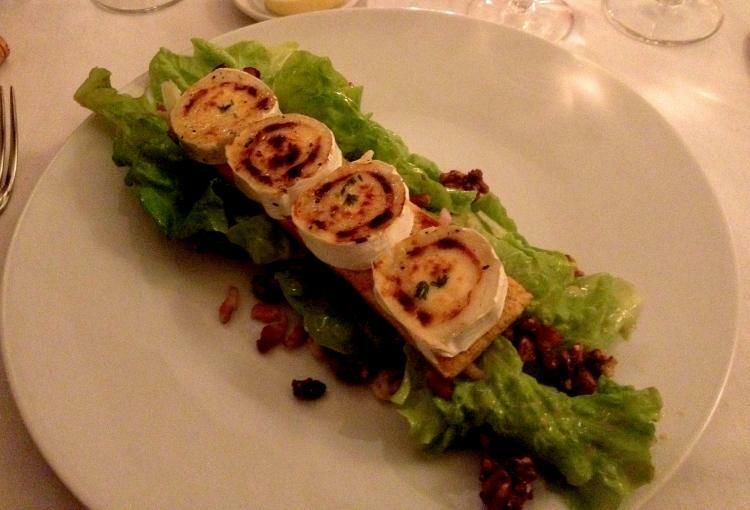 This is your getaway into the famous Black Perigord. 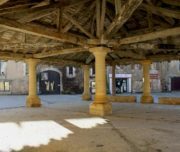 The historic city is very picturesque and offers visits including the Maison des Vins - local wines.According to your arrival time, you could visit the city then taxi will drive to your hotel in Mauzac (transfer is included). Arrival in Mauzac. Settle in your charming hotel. You can either relax by the pool or walk around the park before your orientation. Orientation & bike set-up : our local guide (French native & English speaking) will meet you at your hotel in the evening of your arrival day (or morning after according to the time we will plan with you). He will bring your bicycles, road-books, GPS and touristic information. Your ride today will take you to Les Eyzies, capital of prehistory, where Cro Magnon was discovered. Starting out easy you come to Audrix a small village by small roads and almost no traffic. Then down to Le Bugue and Gouffre de Proumeyssac, and then on to Les Eyzies. 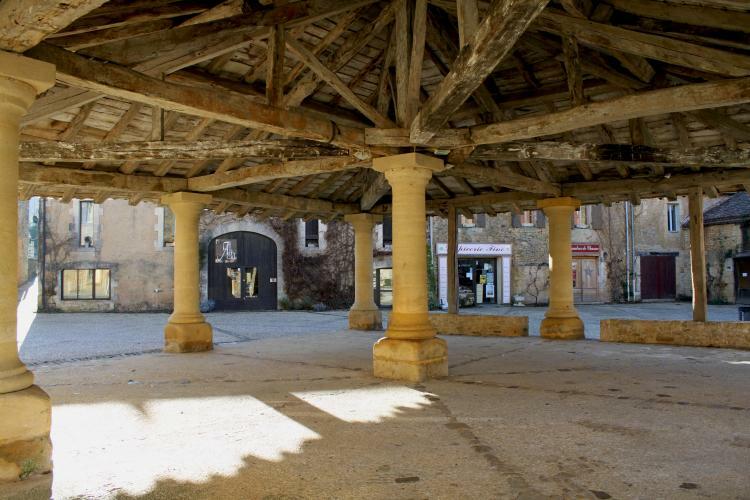 Take time to visit this very charming town and its sites, museums including the Font de Gaume. Prehistoric people living in the Dordogne Valley first settled in the mouth of Font de Gaume around 25,000 BC. The cave was forgotten until the nineteenth century when local people again began to visit the cave. Paintings were discovered and date from around 17000 BC, during the Magdalenien period. The caves most famous painting, a frieze of five bison was discovered accidentally in 1966 while scientists were cleaning the cave. NOTE : The best day to visit Font de Gaume will be on your ride from Les Eyzies to Sarlat. Check information on the next days to know how to get tickets. 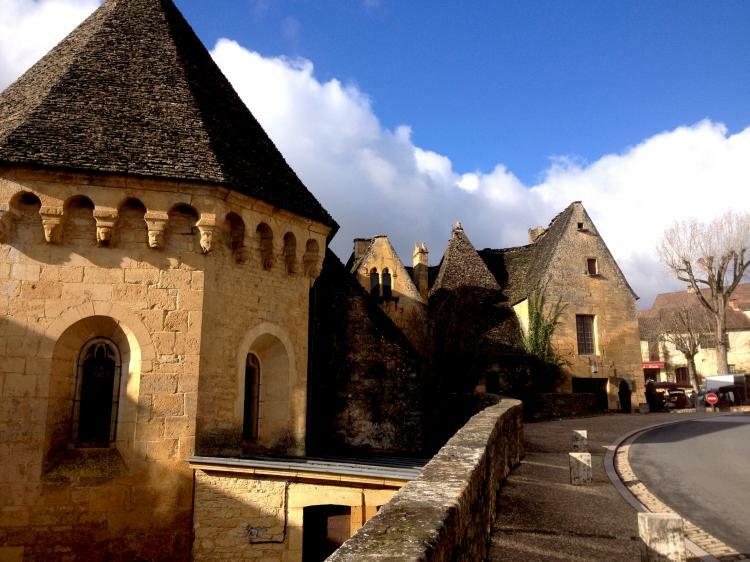 Since today is a short ride but your destination has plenty to offer, we recommend getting an early start to give you plenty of time to visit the very charming town of Sarlat. This town with its cobbled streets, old roofs, and warm stone walls give an exceptional heritage. 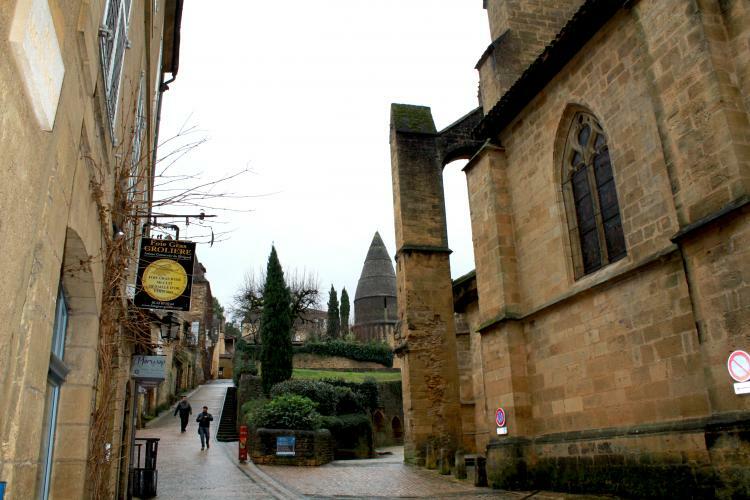 Sarlat is a medieval town that developed around a large Benedictine abbey of Carolingian origin. The medieval Sarlat Cathedral is dedicated to Saint Sacerdos. 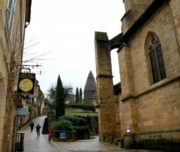 Because modern history has largely passed it by, Sarlat has remained preserved and one of the towns most representative of 14th century France. If you happen to be there on Wednesday or Saturday morning, do not miss the wonderful local market. 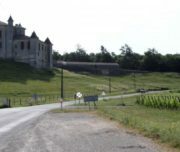 You can decide to ride a longer distance (with more elevation) with a longer option that goes by the Chateau of Commarque (open to public), facing his rival the Chateau de Laussel- The visit of Chateau de Commarque is like a travel in the past and its he location gives you excellent opportunities to take nice pictures. Chateau Laussel is not open for visitors but still nice to admire. Then take your bike again to come back to you ride in the forest and finish in one of the best town in the area : Sarlat. Today you ride to Lacave and where you can visit the local cave. In this cave, the visit starts with a short underground train ride, at the end of which you will meet a guide to take you on a mile-long visit ! On your way to Lacave, you can stop in Souillac and its Church of Sainte Marie. Distance : 41 Km (25 mi). Elevation : 575 m..
You will pass today by the Gouffre de Padirac, one of the most famous underground caves of France, with part of the visit by boat. Because it is out of the way (but worth it !) and quite popular, we recommend getting there as early as possible. Be sure to allow some time to visit Rocamadour, one of the most visited places of France, first as a pilgrimage destination, but also because of its beautiful village built on a cliff side. 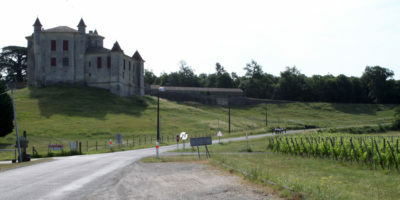 Do not forget to visit the Remparts, as well as the Rocher des Aigles where vultures, falcons and eagles fly free. You may want to visit a local farm producing and selling goat cheese, or just walk around the narrow streets of the village. Distance : 51 Km (32 mi) Elevation : 872 m.
Today, is a longer ride, so take your time riding along the Dordogne River for a quiet countryside ride. 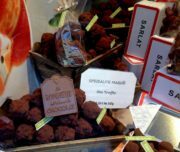 Your destination is Vitrac or Carsac, small villages in the Black Perigord. Vitrac is known for its Chateau and water sports. Distance : 46 Km (29 mi). Elevation : 619 m.
We suggest you buy your picnic and snacks in Rocamadour before you leave because on the road no grocery stores. 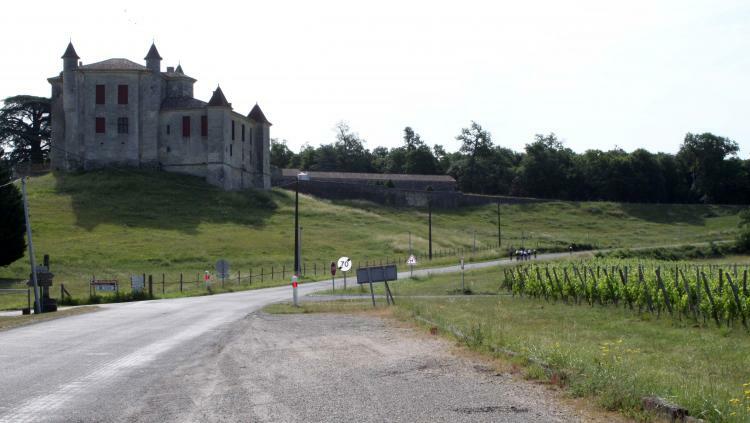 You will ride through some very scenic villages such as la Roque Gageac and Castelnaud la Chapelle. 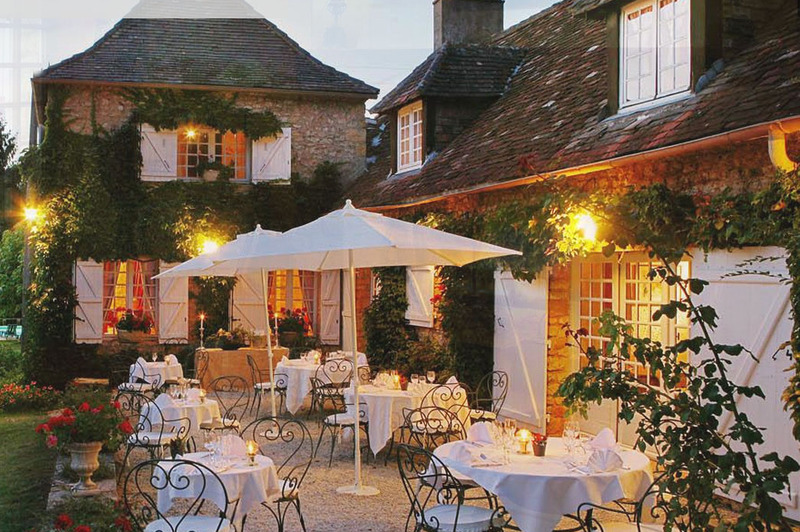 La Roque Gageac has the title of being 'one of the most beautiful villages' of France ! Built at the foot of a cliff, right along the river, do not miss its Exotic gardens and the troglodyte fort. 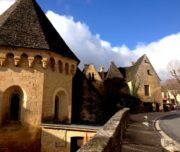 Several famous castles are on your itinerary as well, such as the Chateau des Milandes, former home of Josephine Baker, and the Chateau de Castelnaud la Chapelle, an impressive fortified castle overlooking the Dordogne valley. 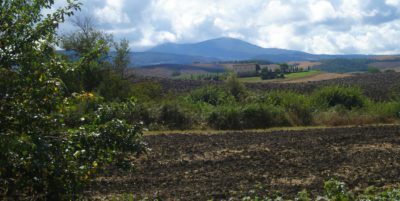 Distance : 38 Km (24 mi).Elevation : 491 m.
Today is departure day, you can take your time getting started in the morning, have breakfast and depart at your leisure from Belves. In the heart of the Périgord, in the wilds, La Métairie will appeal to you, with its rural and stylish side at the same time. You will find a smiling landscape, a refined gastronomy, personalized rooms and a gentle way of life. Hotel Les Glycines: a delightful lush park featuring weeping willows, ros trees, poplars and, next to a swimming pool, a few palm trees. A splendid terrace overlooks this enchanting building. 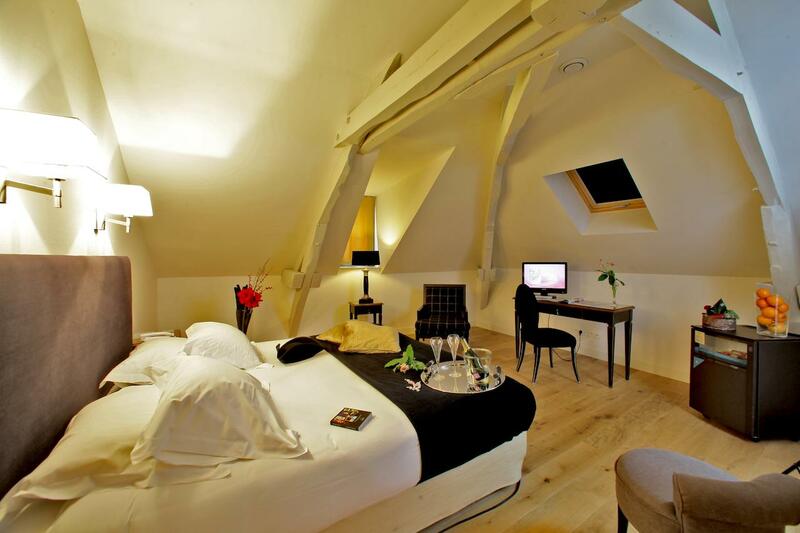 Spacious rooms ensuring a peaceful stay, nestled in the 19 th century building, with its sober and elegant façade. This graceful property in a quiet area, offers elegant accommodation and modern facilities to make your stay in Sarlat a pleasant one. 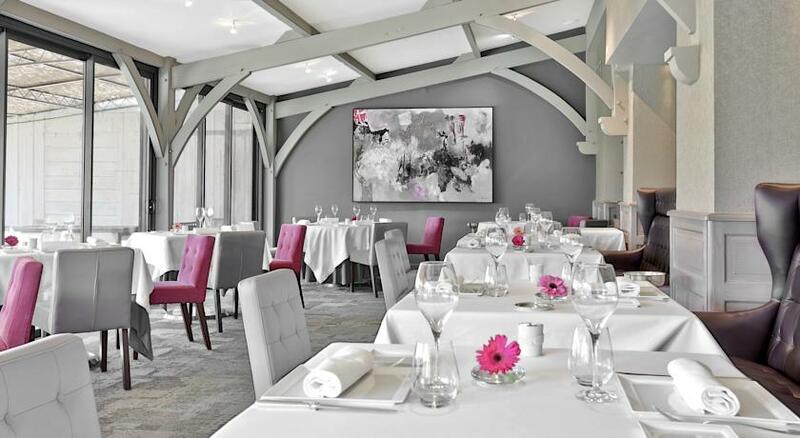 Modern, elegant and timeless, Le Renoir hotel is highly surprising. Built in a non-conventional style, it is located in the very heart of the medieval city. The Pont de l'Ouysse hotel and restaurant are nestled beneath a vertiginous cliff crowned by the Belcastel Castle. The mysterious Ouysse River, its banks lined with footpaths and gardens, flows quietly by. Along its banks, a subtle melange of flowers, aromatic plants and vegetables adds a note of colour and a hint of bygone days. From a simple farm, Le Pont de l’Ouysse has grown into a hotel whose refined charm is the product of careful growth and development, with part of its newly-found space having been reclaimed from the rocky cliff in which it is nestled. Welcome to a place where everything is dedicated to relaxation and well being. It is here in Rocamadour, in this elegant hotel "Les Esclargies" amongst the oak trees, that we invite you to spend your next holiday. 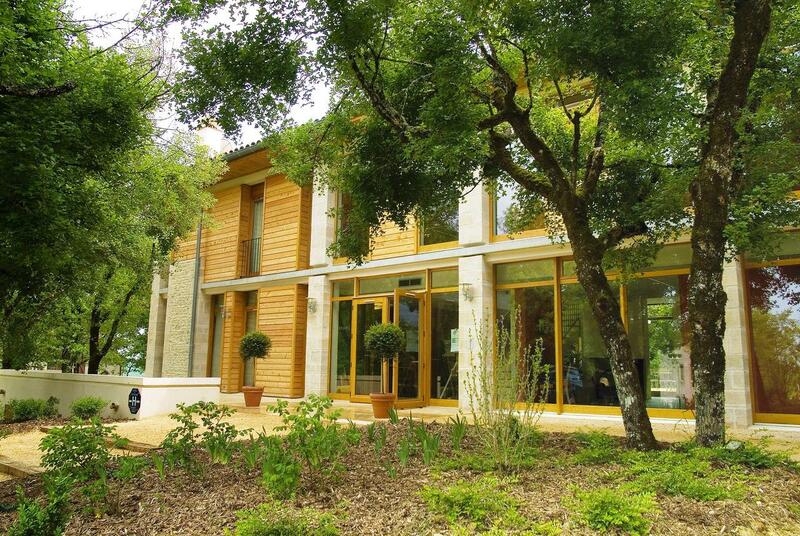 Situated in Rocamadour, not far from the castle, the hotel has been built amongst the oak trees which are typical of this region. 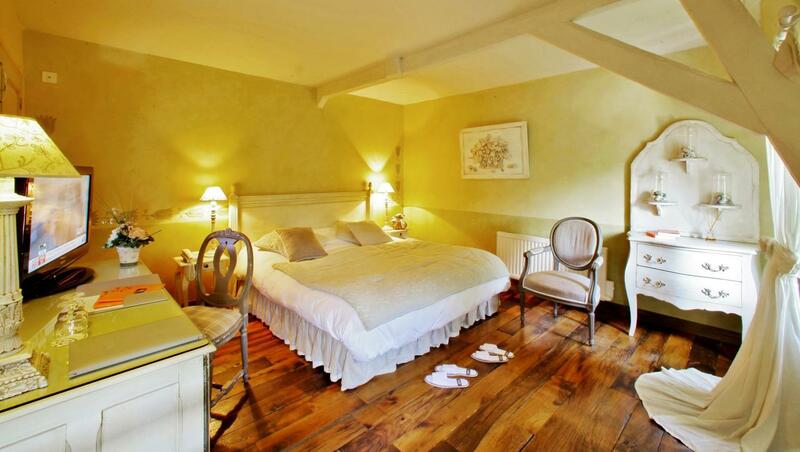 La Villa Romaine built on a Gallo-Roman site perfectly combines comfort from the past and the present. It deploys its 19th century architecture in three exposed stone wall buildings organised around a vast inner courtyard looking over the pool and the park. 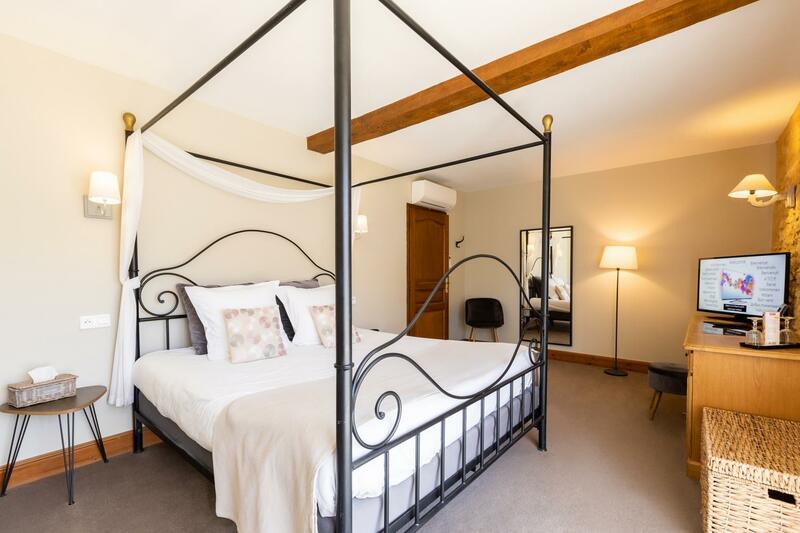 The hotel, stood opposite the River Dordogne and the Druids' Forest, neighbouring the water gardens with lotus flowers and white water lillies, provides exceptional panoramic views of the countryside. 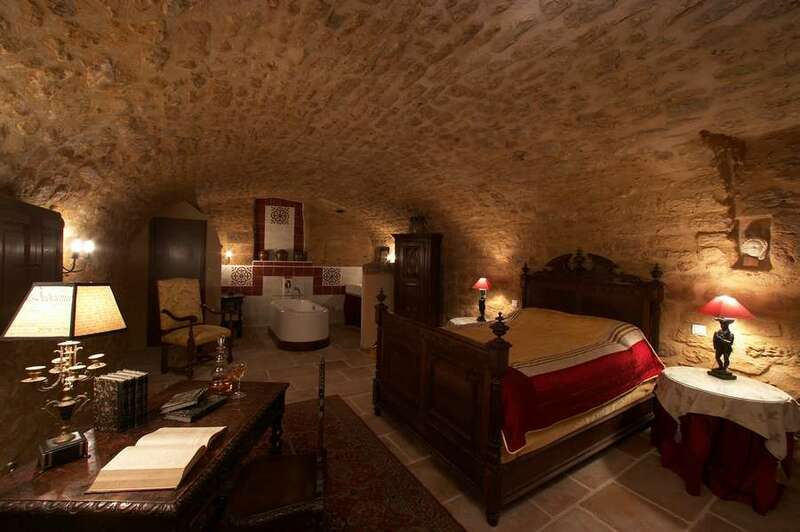 In the heart of Belvès, medieval city, this former grocery shop has been transformed into the charming hotel Clement V. Owners’ goal was to give the whole a “home sweethome” intimate atmosphere, the harmony of the antique furniture combined with the quality of thematerials and fabrics and bedrooms are spacious. Beauty and calm in the heart of all major sites, castles and bastides. 20-25 miles on gently rolling terrain.